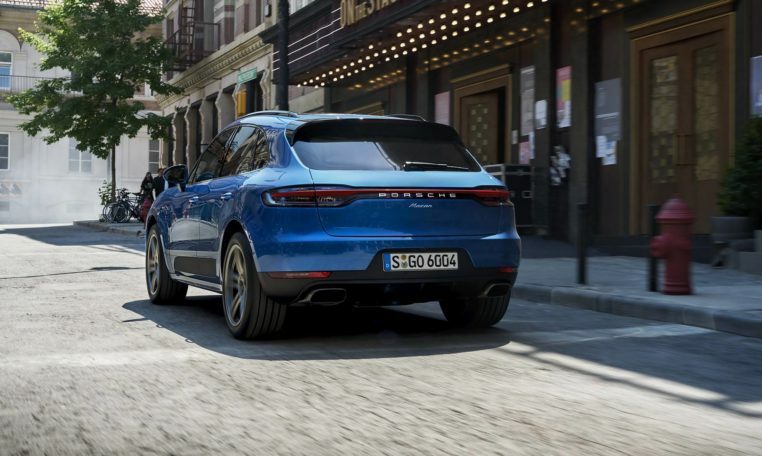 Two engines are available in the 2019 Macan including a 2.0-liter turbo-four with 252 hp and 273 lb-ft of torque in the base model or a 3.6-liter twin-turbo V-6 in the S, GTS, and Turbo variants. 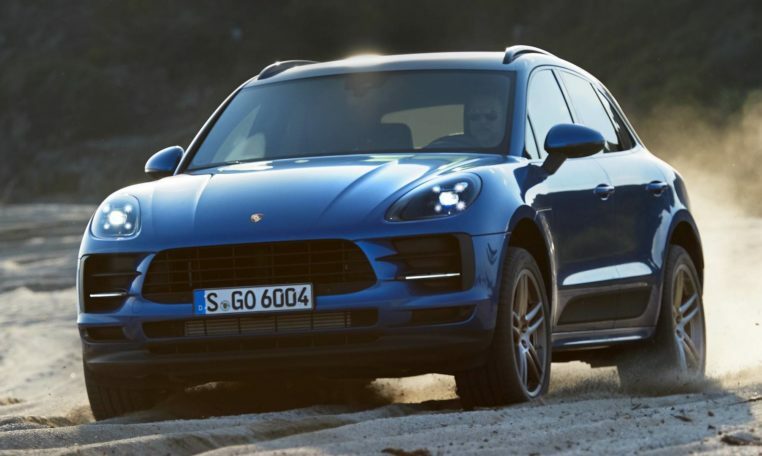 The twin-turbo V-6 is rated at 340 hp and 339 lb-ft in the Macan S, 360 hp and 369 lb-ft in the Macan GTS, and 400 hp and 406 lb-ft in the Macan Turbo. 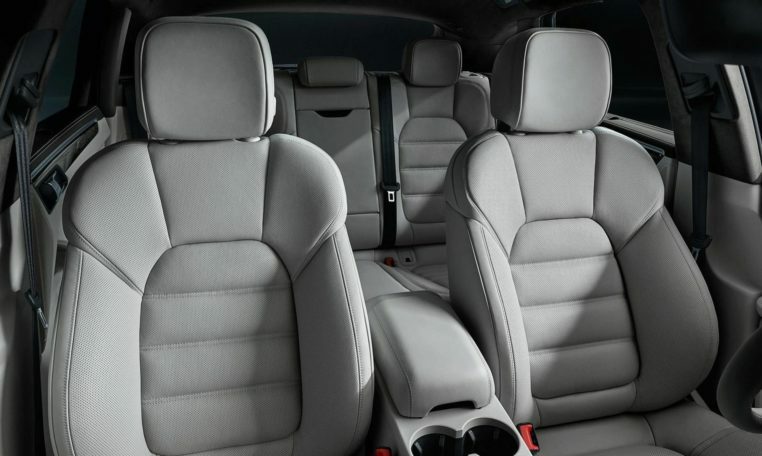 With the optional Performance package, the Macan Turbo’s output rises to 440 hp and 442 lb-ft, and adds bigger brake pads, active suspension, the Sport Chrono package, and a Sport+ mode. 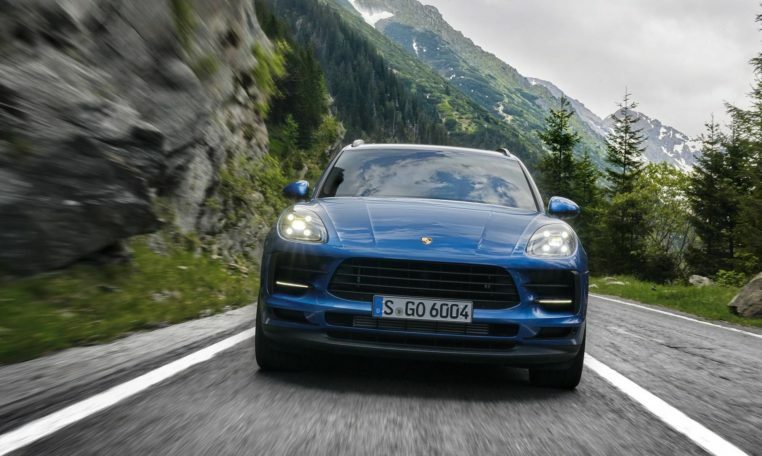 The only transmission available on all Macan models is Porsche’s seven-speed twin-clutch automatic transmission. EPA fuel economy ratings are 20/25 mpg city/highway for the base Macan and 17/23 mpg for all models equipped with the 3.6-liter twin-turbo V-6. 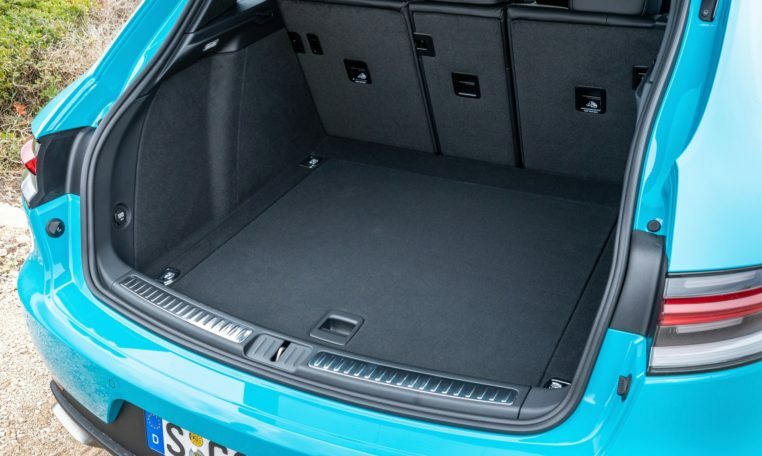 There’s 17.7 cubic feet of cargo space behind the second row and it can be expanded to 53 cubic feet with them down. All variants of the Macan can tow up to 4,409 pounds of payload when properly equipped. The NHTSA and IIHS haven’t crash tested the 2019 Porsche Macan. Lane change assist can be had as a standalone option or bundled with lane keep assist. Adaptive cruise control comes bundled together with Porsche Active Safe system, which combines forward collision warning and automatic emergency braking.